Endodontics, or root canal therapy, involves the treatment of a seriously damaged tooth by removing the diseased nerve tissue and bacteria from its root canal(s). Once the pulpy center of the tooth has been cleaned, it is filled with a rubber compound and a sealer paste to help strengthen the tooth roots. The removal of the nerve tissue makes the tooth significantly more fragile, therefore it is imperative that it be restored and protected immediately with a dental crown. 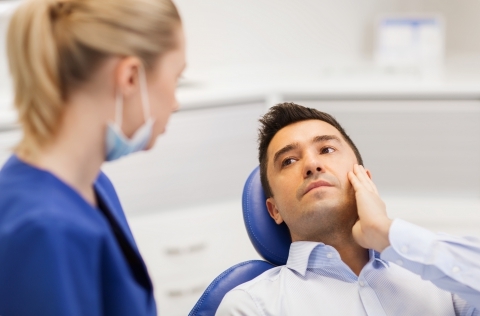 Root canal therapy is an important component of restorative dentistry because it helps save and preserve teeth that would otherwise need to be extracted. At our Orléans dental centre, we provide all basic endodontic treatments and are more than willing to make appropriate arrangements with a specialist, if necessary. Contact us today for more information about our root canal procedures, or make an appointment online.